And here is finally the Discussion Summary (in full) of the Martin Ennals Award 25thAnniversary event “Human Rights in a Changing World” [https://humanrightsdefenders.blog/2018/05/24/mea-at-25-high-level-anniversary-panel-looks-at-human-rights-in-crisis/]. On 30 May 2018, the Martin Ennals Foundation convened a meeting of leaders of the ten organizations that make up the Martin Ennals Jury, together with some former MEA laureates, to discuss current human rights priority issues. This, the first such meeting, took place in the context of the 25thanniversary of the Martin Ennals Award for human rights defenders. The document below attempts to capture the main elements discussed and draws some conclusions. Three issues were scheduled to serve as the agenda: (1) influencing authoritarians, (2) countering populism, and (3) effective human rights action. We focus on the five main points raised throughout the discussion. Not all authoritarians are populists, and not all populists are authoritarians. The initial discussion looked at the phenomenon of populists who build support by using messages and approaches that give cause for major human rights concerns. Populist leaders who end up trampling human rights are often those most eager to remove constraints on their own power by weakening the institutions that can challenge them: the judiciary, media, parliaments, and civil society, especially Human Rights Defenders (HRDs). Authoritarians are increasingly willing to stand up for their approaches, using justifications such as the need for economic development, the rejection of “Western” or “liberal” models, or the protection of national identity. This is the case for countries where the population have little say in the choice of their leaders (e.g. China); nominal say (e.g. Russia or Venezuela); or even where the population can vote freely (e.g. Hungary or USA). The blaming or demonization of marginalised groups is a principal tool in the authoritarians’ arsenal. These groups can include religious or ethnic minorities, or even the targeting of criminals by extrajudicial means. But currently overshadowing all is the way that irregular immigrants have become the focus especially in Europe and the US of attempts to find a scapegoat for the problems that preoccupy the wider population. The concerns among the population that provide the breeding ground for authoritarian leaders to reject more traditional democratic politics are linked to a variety of issues in the spheres of economic insecurity and law and order, as well as cultural displacement and loss of identity. Populists have tapped into these concerns, but rather than looking at the deeper complexities they have created resonance with simple, compelling messages that appeal to emotion more than to reason. The manner in which populists have built support by attacking marginalised groups includes a discourse to deny them certain basic rights. Statements that in the past were seen as reminiscent of fascism and thus politically unacceptable are now part of the political dialogue and supported or at least ‘accepted’ in many countries that were considered “liberal democracies”. Regardless of who is in power, suggesting denial of basic rights to certain groups is now common currency even in many democracies. Immigration, and in particular “uncontrolled” or “illegal” immigration, is a particular target for populist leaders. Human rights advocates who stand up for these people’s rights are now more easily accused of working against the national interest. Disconcertingly, blaming such an identifiable “other” time and again appears a simple but effective tool. Politicians focusing on complex causes face an uphill battle. Human rights organizations trying to protect the “other” may find their messages not just ineffective, but providing arguments for populists to use against them. The result is that human rights, and human rights activists and organizations, are seen by significant numbers of people in many countries as serving effectively to support those who threaten their livelihood, safety and cultural values. Thus, human rights, as a concept, come under attack when associated with protecting “undesirables”. While “human rights” as a concept may be easily misunderstood, or intentionally manipulated, views tend to be more supportive once specific rights are acknowledged and advanced. This applies particularly to a broad range of economic and social rights issues that resonate with a wider cross-section of the population: corruption, land rights, labour rights, and environmental degradation. These issues tend to be underrepresented as human rights concerns and more effort should be made to show the connections. It was stressed that young people especially are willing to work on these issues. A recurring theme in the discussion was that while there may be support for particular rights such as LGBT or land rights, this would not usually be translated into supporting the overarching human rights architecture in general. Messaging by human rights organizations often involves conceptual messages, which have been ineffective in the past. However, the new, and more dangerous, element is rather than just being ineffective, these messages can provide arguments in the opposite direction for populists. The conclusion that presents itself is that those working on any particular topic will have to be much more aware of the wider context in which they work. While trying to draw attention onto specific issues, it is important to remain credible in the eyes of the wider public. This means that as human rights organizations decide where and how to focus their activities, the balance of issues worked on needs to be considered as part of the perception that the organization wants to build. For those organizations with very specific mandates, and so a limited choice of issues to focus on, it is even more important to find approaches that do not provide arguments that can be used by those working against them. “Naming and shaming” has long been one of the main tools to press for human rights. However, given the success of the populist messages, some leaders have been able to justify human rights violations and even use criticism to make their point to supporters. This is particularly so when the criticism associated human rights with the least “desirable”. Even though authoritarians may feel no compunction to stand behind their methods or even boast about them, they still are sensitive to their reputations. They often mobilize significant resources to thwart or stop human rights defenders, which shows that they still think arguments in favour human rights are important enough to be dangerous for them. There is no reason to conclude that public shaming is no longer effective, but it needs to be carefully tailored to each situation. Failure to do so can play directly into the hands of the authoritarian leader who may claim the criticism as a badge of honour. Populists are sensitive to being ridiculed; humour at their expense can be powerful. In any case the planned message needs to be carefully analysed to determine how the message could be used to their benefit by those it seeks to challenge. The use of personal sanctions and restrictions on autocrats and their cohorts is increasing and is found often to have considerable impact. However, where this can trigger counter-measures it is important for unintended consequences such as reprisals against human rights defenders to be factored into the equation. There was broad agreement about the importance of moving beyond the traditional ways of communicating human rights concerns and articulating advocacy. The human rights narrative mainly resonates with those most familiar with, and supportive of, the issues. Messages are often legalistic and technical, limiting their appeal to a wider audience. In the current fractured political dialogue, when the objective is seen as supporting an “other” a new level of hostility can result. The most effective communications are on issues that the recipient can identify with. This makes normative and conceptual work very hard to get the wider public people excited about. They are more likely to react to messages where they see themselves as potentially affected. This is what makes the demonization of “others” so effective. Action against migrants or minorities does not strike people as something that can happen to them. Even when talking about civil and political rights, it is still possible to see the most serious violations such as torture and enforced disappearance as something that happens to others. It may well be easier to mobilise people around social justice issues like corruption, land rights, labour rights, and pollution. There is a general sense that economic, social, and cultural rights are not sufficiently addressed. Countering populists will need messages in language that appeal to populist followers’ values, interests and indeed emotions. Here it is important to offer constructive solutions to move the debate forwards rather than condemning what is wrong. Furthermore, there is a need to work in alliance with broader elements of civil society such as social movements, and so tap into sources of wider support. Effective use of visual and social media is indispensable. Governments are not monoliths. There are different interests and views within autocratic states that can be utilized when dealing with them. It is important to weigh the trade-offs in any such interaction; while dialogue can be opened up it needs to be able to lead to action. There are risks that autocrats could use the fact of dialogue to legitimise their actions. At the same time, they may go along but with no intent to move forward – e.g. dialogue that only involves the foreign ministry is usually a sign that little will happen. As a rule, dialogue should go hand in hand with public communication that creates pressure. The ‘diplomacy’ must have a public component. Non-state actors can play powerful roles influencing the state primarily for their own benefits, and so contributing directly or indirectly to infringement of human rights. The business sector, notably multinational enterprises, is considered a clear priority in this regard. Effective action to ensure compliance is still limited by gaps in normative rules; where such enterprises may be vulnerable to reputational risk, strengthened regulation should help ensure that they are competing on a level playing field. There is a multitude of pressure- and leverage points. One that drew particular attention is the notion that the eventual cost to companies resulting from a lack of early engagement with the local population may be exponentially higher than had they consulted at the start. Involvement at the early planning process by all sides can reduce the risk of project failure or excessive costs later on. Other leverage points include banks/financial institutions, shareholder activism, and associated business partners such as suppliers who may have reputational concerns. Overall, the thrust of engaging with the business sector in the sphere of human rights must be to shift the emphasis from focusing on transparency to seeking accountability. Much of the discussion looked at recent changes in the West as to how human rights are viewed, whereas the global South continues to face the challenges it always has. Furthermore, certain changes that originated in the West such as funding restrictions on political activity, and anti-terrorism legislation have inspired new methods to restricts human rights defenders in countries with more structural human rights problems. Reassuringly, experience shows that even in countries with structurally problematic human rights records there are networks of committed human rights activists. While they may be small in numbers, their commitment and drive allow them to keep human rights concerns on the agenda. Many of these activists feel unsupported when facing the resources, restrictions, and wrath of their own governments. However, this commitment to human rights by an engaged minority is a clear counterweight to populism and human rights abuses more widely. Thus, a key message arising out of the discussion is the importance of supporting local activists and networks. Supporting them is a critical function of the international human rights movement. The work for human rights defenders cannot be seen in isolation from the causes they espouse, which in turn enables international human rights organisations to connect with broader social movements. While there may still be a need for developing norms and standards in certain areas (as with regard to business and human rights), the overall emphasis must increasingly be on implementation and enforcement of existing rules. This requires a more comprehensive approach that moves from identifying where norms are violated, to a systematic approach to keeping pressure on governments in question until there is change. This will involve increased coordination between international actors and those working locally. Convening the leaders of all the MEA jury organizations together with former laureates was a first. It gave a unique opportunity to discuss the state of human rights and human rights action in today’s rapidly changing and increasingly contested world. The analysis differed in nuance only, the overall findings and conclusions had a large degree of consensus. While these outcomes may not in themselves offer ground-breaking new insights, that fact of the shared orientation and commitment is remarkable and encouraging in the face of the formidable challenges in front of us. The Martin Ennals Award (MEA) will change its annual award cycle starting with the next Laureate announcement and ceremony. In recent years, the three finalists have been announced in April and the ceremony announcing the Laureate has been held in October. The annual cycle will shift forward by four months. The next Laureate will be announced at the ceremony in February 2019. The three finalists will be announced in October/November 2018. Thus, the MEA will be reopening nominations with a new deadline of 26 March 2018. Nominations already submitted for October 2018 will be considered for February 2019 and do not have to be resubmitted. The new schedule will allow for better advocacy opportunities between the finalist and laureate announcements. It will also come just before the most important session of the United Nations Human Rights Council, which is held in March. Two Irish lawyers attempt to reach human rights defender Ahmed Mansoor, who is held incommunicado in United Arab Emirates, but in vain. 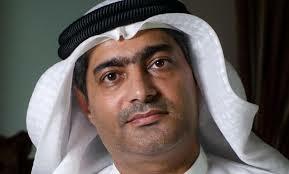 Today the Martin Ennals Foundation reports that on 26 February 2018, two lawyers from Ireland approached the Ministry of the Interior in the United Arab Emirates (UAE) to try to gain access to distinguished human rights defender Ahmed Mansoor, who has been detained since 20 March 2017 for his human rights activities. Mansoor, who received the Martin Ennals Award for Human Rights Defenders in 2015, is a member of the advisory boards of the Gulf Centre for Human Rights (GCHR). Given the widely documented use of torture and solitary confinement by UAE authorities, and the lack of any independent information regarding Mansoor, there are grave fears for his safety. 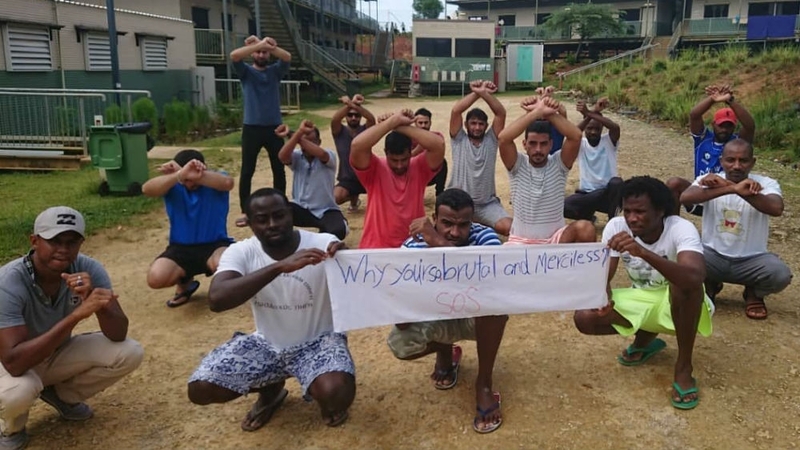 Numerous organisations have expressed concern that he may be tortured and subject to ill treatment in detention. In Abu Dhabi, the Irish lawyers approached the Ministry of the Interior headquarters, which is the authority controlling and running prisons. The Ministry referred the lawyers to the police, who are not responsible for prisons. The police then advised them to approach the Al-Wathba prison, which they did, only to be told Mansoor is not being held there. The inability of the authority responsible to provide any information on Mansoor is remarkable given that he has been detained for almost a year. The mission was mandated by GCHR, the Martin Ennals Foundation, Front Line Defenders, the International Service for Human Rights (ISHR) and the Observatory for the Protection of Human Rights Defenders, a partnership of FIDH and the World Organisation Against Torture (OMCT). Ahmed Mansoor was arrested by a dozen security officers at his home in Ajman in the pre-dawn hours of 20 March 2017 and taken to an undisclosed location. The security officials conducted an extensive search of his home and took away all of the family’s mobile phones and laptops, including those belonging to his young children. The family had no information about Mansoor until a statement was issued on the Ministry of Foreign Affairs website on 29 March 2017 saying that he was in detention in the Central Prison in Abu Dhabi. Since his arrest, his family were allowed to visit him only twice – on 3 April and 17 September 2017, and he has had no access to a lawyer. In the weeks leading up to his arrest, Mansoor had used Twitter to call for the release of activist Osama Al-Najjar, who remains in prison, despite having completed a three-year prison sentence in 2017 on charges related to his peaceful activities on Twitter; as well as prominent academic and economist Dr Nasser bin Ghaith, arrested in August 2015 and sentenced to 10 years in 2017. Both men have been convicted of charges related to peaceful messages they posted on the social media platform Twitter. Mansoor had also used his Twitter account to draw attention to human rights violations across the region, including in Egypt and Yemen. He had also signed a joint letter with other activists in the region calling on leaders at the Arab Summit who met in Jordan in March 2017 to release political prisoners in their countries. 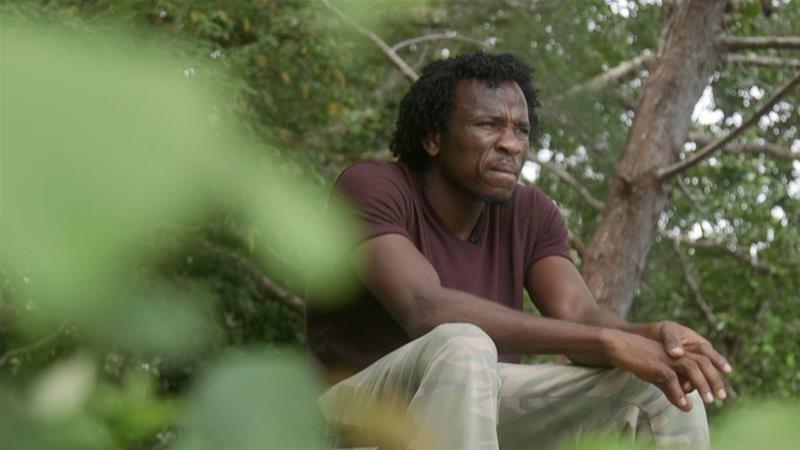 As a result of his selfless and tireless efforts to defend the rights of migrants and Emirati nationals in the UAE, he had become a thorn in the side of the UAE authorities and consequently the object of years of government harassment and persecution. Since his arrest, a group of United Nations human rights experts have called on the UAE to release Mansoor, describing his arrest as “a direct attack on the legitimate work of human rights defenders in the UAE.” They said they feared that his arrest “may constitute an act of reprisal for his engagement with UN human rights mechanisms, for the views he expressed on social media, including Twitter, as well as for being an active member of human rights organizations.” The experts include special rapporteurs on human rights defenders, on the promotion and protection of the right to freedom of expression and opinion, along with the Working Group on Arbitrary Detention and the Working Group on Enforced or Involuntary Disappearances. Mansoor, along with Dr Nasser bin Ghaith, and online activists Fahad Salim Dalk, Ahmed Abdul-Khaleq, and Hassan Ali al-Khamis were arrested in April 2011 and charged with “publicly insulting” UAE rulers. On 27 November 2011, a panel of four judges of the Federal Court found all five men guilty and sentenced Mansoor to three years in prison, and the others to two years. The four men were released the next day, after the UAE president, Sheikh Khalifa bin Zayed Al-Nahyan, issued a pardon. 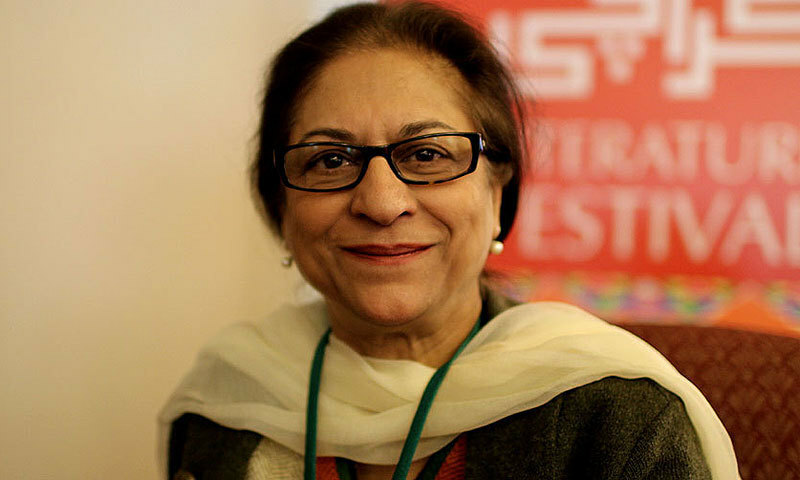 Prominent Pakistani human rights defender and lawyer Asma Jahangir has died at the age of 66. She reportedly suffered a cardiac arrest and was taken to hospital, where she later died. Nobel Peace Prize winner Malala Yousafzai called Ms Jahangir a “saviour of democracy and human rights”. A prominent Pakistani lawyer, Salman Akram Raja, tweeted that Ms Jahangir was “the bravest human being I ever knew” and that the world was “less” without her. Rightly Front Line Defenders reminds us that today, 15 January 2018, Ilham Tohti completed his fourth year in Chinese detention. The human rights defender, economics professor and advocate for the rights of China’s Uyghur minority was arrested following a raid on his home on 15 January 2014. In the course of his incarceration, Ilham Tohti has been subjected to recurring violations of international human rights standards with regard to detention conditions such as limitations of family visits, intercepted communication, solitary confinement, deprivation of food and intimidation. 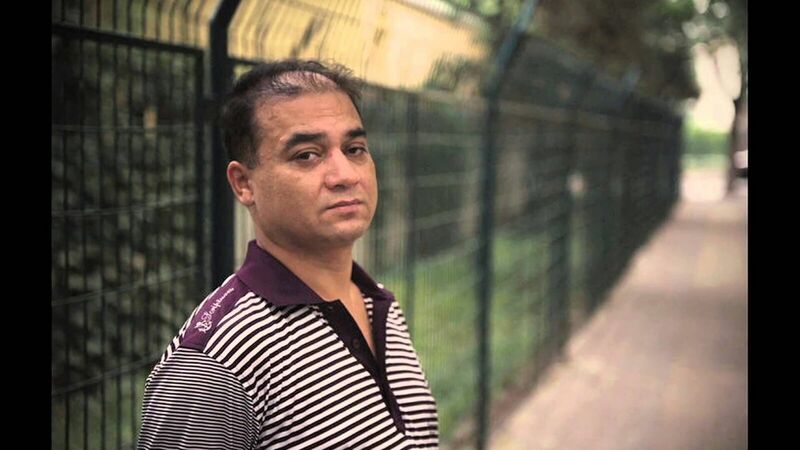 Ilham Tohti’s family and colleagues have also been subjected to judicial harassment. Ilham Tohti <https://www.frontlinedefenders.org/fr/profile/ilham-tohti> formerly lectured as a professor at the Central University for Nationalities in Beijing. He has researched, taught, and written numerous articles on topics related to human rights violations in China’s northwestern Xinjiang Province, the homeland of China’s sharply repressed Uyghur minority. In 2006, the human rights defender founded Uyghur Online, a Chinese-language website for the dissemination of Uyghur-centric news. Across these platforms, Ilham Tohti regularly criticised the exclusion of China’s Uyghur population from Chinese development, and encouraged greater awareness of Uyghur status and treatment in Chinese society. For these actions, Ilham Tohti was declared a “separatist” by the Chinese state and ultimately given a life sentence in prison.